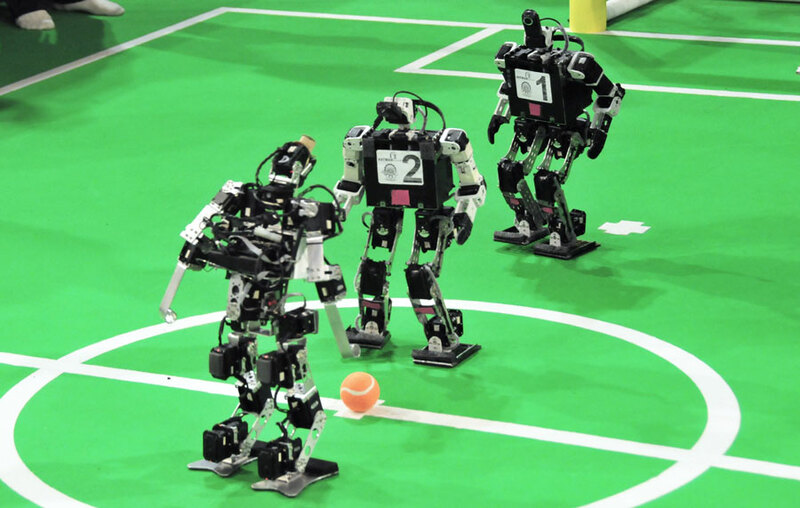 In the past decade, soccer robots have been developed greatly, and some of the robot soccer games have been showing more and more attractions. However, many open problems such as how to train soccer robots in the real world, and how the soccer robots learn the action skills incrementally or communicatively have been challenging us. In this talk, we will firstly introduce the motivations for our research. Then, some prospective approaches related with developmental learning of autonomous robots will be discussed. Also, we will propose some ideas and show some practical work for action skill developmental learning in autonomous mobile robots. At last, we will point out the potential advantages of developmental learning and the further research directions. Xiaoan Li received the B.S. and M.S. degrees in Computer Information Engineering in 1987, Control Theory and Application in 1990, and Ph.D. degree in Computer Application Technology in 2000, respectively, all from the department of computer, Northwestern Polytechnical University, Xi’an city, China. Since 1997 he has been an associate professor. From May 2008 to May 2009, he was a visiting scholar in the Department of Computer Science and Engineering at the Michigan State University. Dr. Li is the founder of the Soccer Robot team in Northwestern Polytechnical University, and the chief advisor from 2003 to 2009. His research interests include computational intelligence, learning and cooperation of multi-agent robot system, the real-time intelligent control.